The Festival organisers have uploaded information on the many exhibitions. It is looking very good – click here. Talking to people in Melbourne last week, we were wondering why the National Gallery of Victoria (NGV) no longer has a dedicated photography gallery. We also noted that since its demise, that the number of photographs around the rest of the gallery has actually reduced. It seems that their photography department has dropped the ball completely in recent years after having established such a strong Melbourne presence previously for photography. There was that dedicated gallery plus there were numerous works integrated into the exhibitions across the whole gallery. Not any more. Having seen the notices for exhibitions in Singapore in October, and the high levels of activities overseas in contemporary photography, one wonder what has happened inside the NGV photography department and the gallery management. Have they decided to ignore their formerly very dedicated photography audience? Do they not realise that there remains a strong photography audience in Melbourne and that they no longer just wander into the NGV as often as before? Maybe it is time to look for another public gallery venue for contemporary and historic photography in Melbourne. 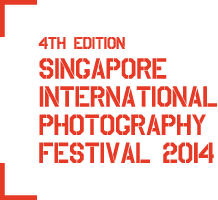 What would it take to bring such an exhibition as the SIPF 2014 exhibition to Australia?